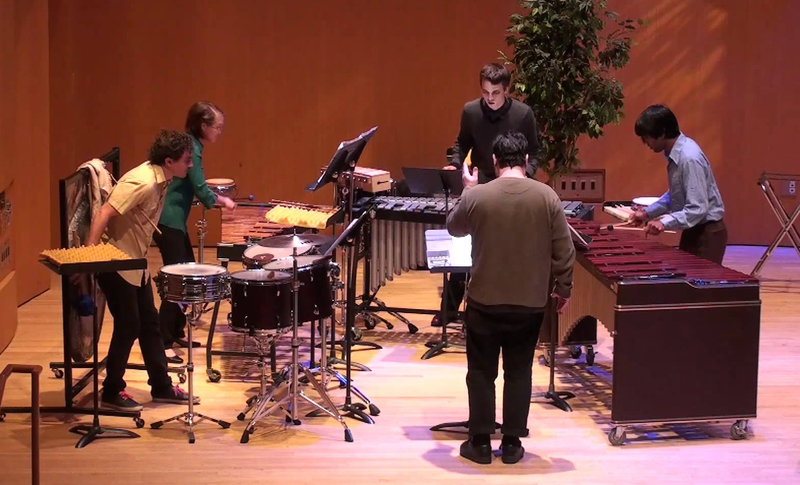 Percussion Ensemble (Music 165) Directed by William Winant. Repertoire includes the music of Varese, Cowell, Chavez, Russell, Cage, Harrison, Roldan, Xenakis, Stockhausen, Zappa as well as more current composers i.e. : John Zorn, Fred Frith, James Tenney, Larry Polansky, Chris Brown, Frederic Rzweski, Alvin Curran, Peter Garland and Steve Reich. The group works directly with many of the composers listed above and does concerts and recordings outside of scheduled school events. For over 20 years percussion ensemble has been featured at the April in Santa Cruz New Music Festival.